“We are all one Ummah.” We hear this sentiment a lot, and don’t get me wrong– I love it. I just wish it were true. Unfortunately, our Muslim communities, particularly the older generation, are overwhelmingly oblivious (or complacent) to the racism prevalent in our communities. As in our overall society, Black Muslims are sometimes treated as “less than” other Muslims by other Muslim; if not in explicitly, then at least behind closed doors. We relish in the fact that our religion is a doctrine which enforces equal treatment for all, free of any form of racism – and this is all true, it’s not Islam itself that is flawed– but it is we as Muslims that need to do better. Stephon Clark has been the latest viral case of yet another innocent Black man robbed of his life too soon by police violence. According to the Mapping Police Violence website, 264 people have been killed by police gunfire in 2018 already, 25% of those being people were Black (despite only comprising 13% of the population). The site states that Black people are 3 times more likely to be shot by police than white people are. Like most young Black men shot by police, Clark wasn’t doing anything threatening and was complying with the police. So why was he shot? Racial profiling, unjust state-sanctioned police discretion, and our national propensity for gun violence. Clark, standing in his grandparent’s backyard, was mistaken for a burglar reportedly in the area. He was holding his cell phone in his hand and, according to the police, it looked like a gun. The response? Two police officers fired 10 gunshots each, for a total of 20 gunshots, at a single Black man holding his cellphone in his grandparent’s backyard. We as a country need to do better. Conversations surrounding gun violence on the heels of tragic school shootings can’t just be about schools, they must include conversations on state-sanctioned gun violence, on surveillance, on racial profiling, and on the role of the state in allowing for this kind of violence. We can’t just stop at enraged teenagers with automatic rifles when we have police men firing entire rounds at unarmed, innocent people regularly. Now, back to the Muslim community. It’s no secret that there was an outpour of support for Stephon Clark; aunties were reposting calls for action, uncles were blasting the injustice, and groups were fundraising for the Clark family. This outpour of support is continuing and growing stronger; it’s always great to see the Muslim community mobilize around important sociopolitical issues. But, to be quite frank, a lot of this support became prevalent only after finding out Clark was a Muslim, as if him being Muslim made his death more important and relevant. This isn’t a critique of the support itself, far from it. This is a critique of the timing, of our priorities, and of our call to action. 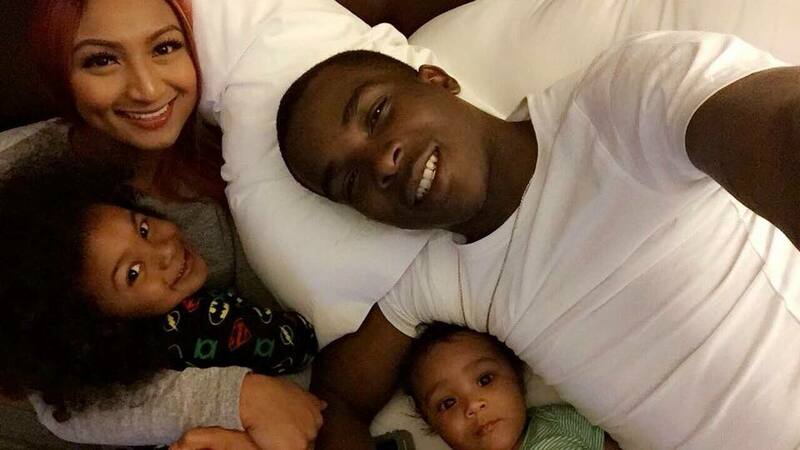 Stephon Clark’s death is important because he was a human being who was murdered by the police. It is not because he was Muslim, or because he had a family, or because he was aspirational. Unjust murder is unjust murder. And that is what should bother us, particularly as Muslims. To quote Prophet Muhammad (ﷺ) himself, “Whosoever of you sees an injustice, let him change it with his hand; and if he is not able to do so, then [let him change it] with his tongue; and if he is not able to do so, then with his heart — and that is the weakest of faith” (40 Hadith Nawawi 34). So, it’s an obligation of faith for us to stand up against the senseless death, incarceration, and disenfranchisement of Black people at the hands of the institutions that are supposed to be protecting us all. When will non-Black Muslims finally acknowledge that racism is a serious problem, not just in the non-Muslim world, but in our mosques and MSAs and even our scholarship? That racism is not something that can just be covered up with elaborate verses from the Qur’an and some prayers, but requires mass mobilization and serious effort on our part? Racism is deeply rooted in everything, and the sooner we start acknowledging that even our practice of religion isn’t free from this statement, the sooner we can make progress towards eradicating racism in our communities. From there, we can start combating gun violence en masse: as white terrorism, as police terrorism, and as state terrorism. But, as we tackle this national sociopolitical issue, let’s make sure we’re visiting predominantly Black mosques and making Black communities feel welcome in predominantly Arab and Desi mosques. Let’s start responding to tragedy and injustice through the lens of an indiscriminate Islam, not through the lens of what is relevant to Muslims. The objective is as clear as it is important. Black Muslims shouldn’t be afraid of not being accepted in their own faith, among members of their own religion, because of the reverberations of racism through history that have found root in our communities. That’s shameful. In case I wasn’t clear, let me rephrase, Muslim and racist are mutually exclusive labels.